Fund health care and education! Click here to send your letter to Mayor Menino in response to his State of the City address and the ongoing attacks on public education and health care. Menino highlighted the achievements of public schools and community health centers in the last year before laying out plans to slash the school budget, increase student segregation through rezoning and cut health benefits for thousands of city employees. 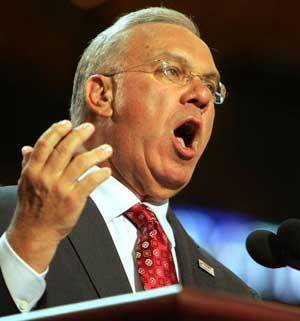 Tell Mayor Menino: Boston needs public education and health care! When addressing education reform, Menino cited early childhood education and English language learners as priorities for the coming period. But just last month, the Mayor's appointed School Committee voted to close the Early Learning Zone in Dorchester. In addition, the School Committee recently settled a multi-million dollar federal lawsuit with the Department of Justice over its failure to meet federal requirements for English-language learners. A Northeastern University study found Boston to be amongst the most racially segregated school districts in the country, especially amongst the Black and Latino community. Terms like “neighborhood schools” are used to promote student reassignment and rezoning plans that would further limit school choice, increase walking distances and eliminate bus transportation for thousands of children. While the school budget is being slashed and teachers are being fired, the city is spending millions of dollars to expand the police budget and hire more cops. Millions of dollars a year are spent on police overtime and special details, and over $31 million has been spent on the new B-2 precinct in Roxbury. A lack of access to a quality education, job opportunities and other basic needs such as stable housing lays at the foundation of street violence. Street violence in Boston cannot be combated with more cops on the street—especially when the cops are a big part of the problem. The Boston Police Department is a historically racist and violent force that is incapable of carrying out justice in our neighborhoods. The violent beating of a 16-year at Roxbury Community College by the Boston police highlights the need for community oversight and control of the police. Instead of pouring more public funds into a racist and violent police department, city officials should use this money to save teachers’ jobs and keep our schools open. Budget shortfalls are used to justify cuts to education despite the fact that the school budget ended last year with a $9.1 million dollar surplus. Billions of dollars in tax cuts are provided to corporations like insurance giant Liberty Mutual, while the health care for city employees are under attack. With his sights on busting union contracts, Menino intends to follow the state's lead in cutting health benefits by illegally moving thousands of city employees into a group insurance plan that would increase premiums and decrease coverage. The working and poor people of Boston must come together and organize against these attacks on education, health care and other social services. ANSWER Boston is committed to working to build a mass movement capable of not only defeating this corporate offensive but achieving positive change. Get involved today!